Hedgerows in the United Kingdom have been dated back to the Bronze Age, and many included banks and ditches. In the past, many hedgerow trees were very important for human use, and would often have been pollarded. Some ancient hand-drawn maps show individual trees within the boundaries, often at very regular intervals. The wood from hedgerow trees was harvested for making poles, hurdles, broom handles and for use as fuel in fires. 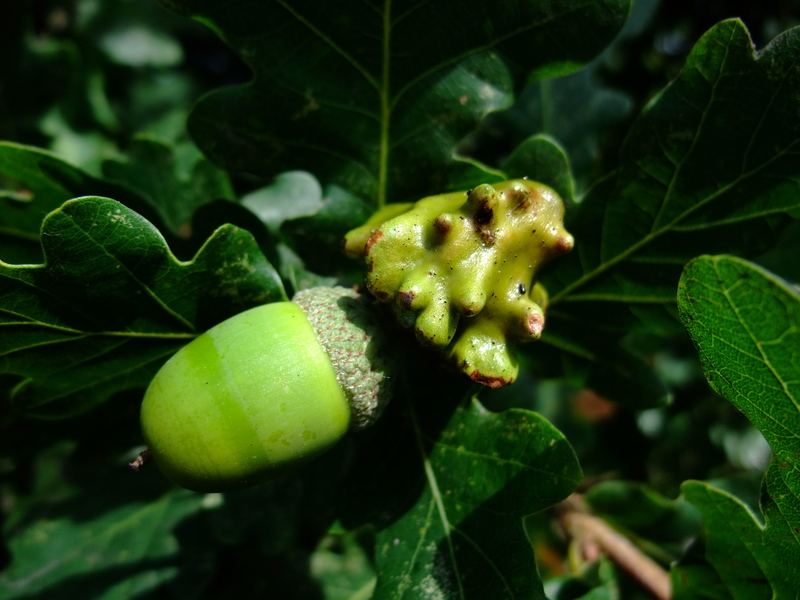 The term ‘by hook or by crook’ is thought to have originated from the historical allowance that tenant farmers and those with access to common land could take what they could reach with a shepherd’s crook or billhook, whilst the land owner owned the tree trunks. The shapes of fields and hedge layout can provide important clues to the age of a hedge. Tudor fields tend to be square, those ploughed with ox and cart often had a sinusoidal edge to allow a wider turning circle at the end of the rows, and circular fields can indicate previous deer parks. The 19th century Enclosures Act resulted in the creation of many more hedge boundaries. 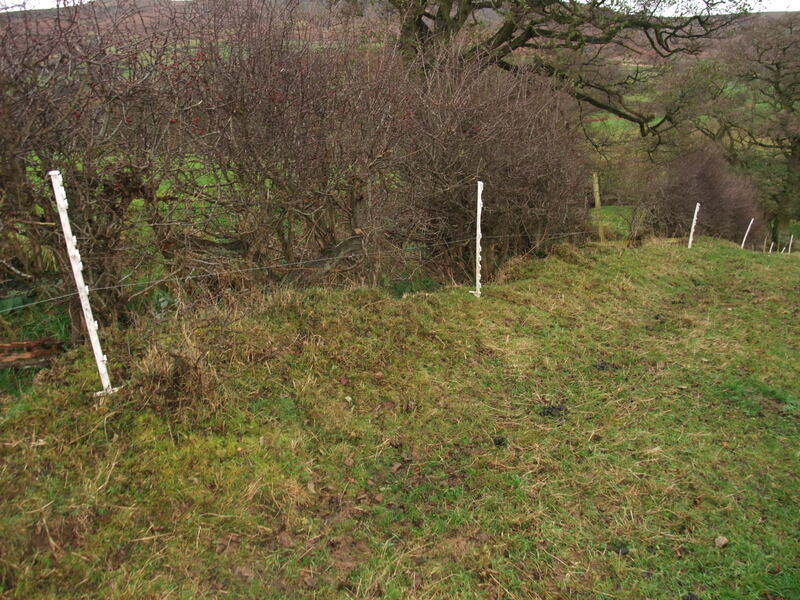 Hedges are beneficial to land managers as they serve to intercept strong winds and blizzards, protect soil from erosion and help reduce flooding. Livestock can often be seen pressed up against the hedge line or under the shelter of an ancient boundary tree in extremes of weather, including hot sunshine. The recent interest in self-sufficiency and organic food has resulted in greater numbers of people going out foraging, including me. 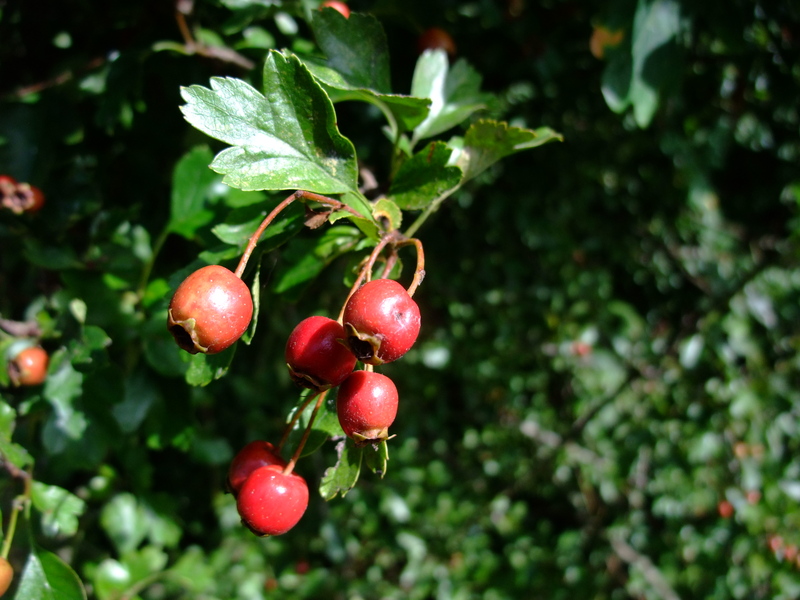 Foraging in England and Wales is not illegal as long as what is collected is not intended for commercial use. 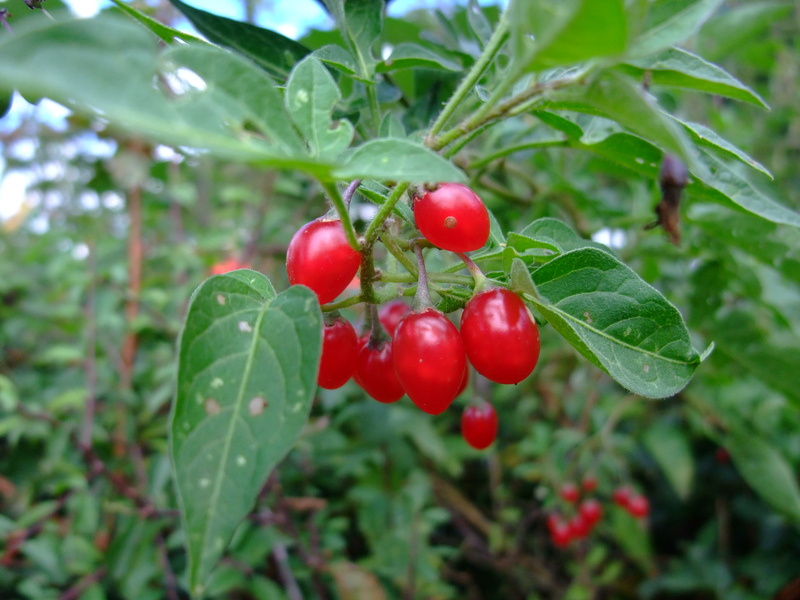 Foraging should always be done in a sustainable way, leaving plenty for the wildlife, so the plant can set seed and reproduce, and in the case of hedgerows so as not to damage the structure of the field boundary. 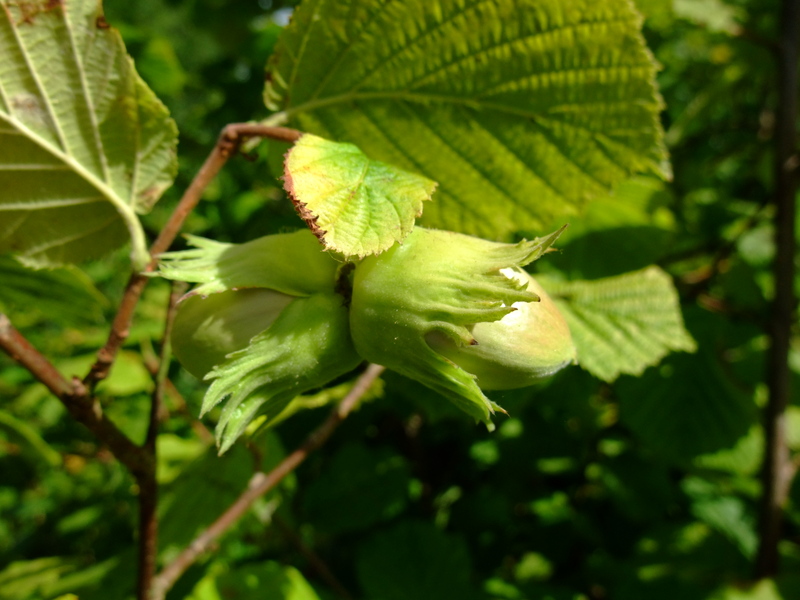 Delicious fruits such as gooseberries, raspberries, apples, cherries, elderberries can be found in the hedgerow, along with hazelnuts, and plants such as meadowsweet along verges (which can be used to make an incredible sorbet). Be sure of what you’re picking if you’re going to eat it. Take care to avoid picking where there may be pollutants and pesticides present, and never remove a plant by its roots unless you have the landowner’s permission. Some plants may be protected by bye laws. 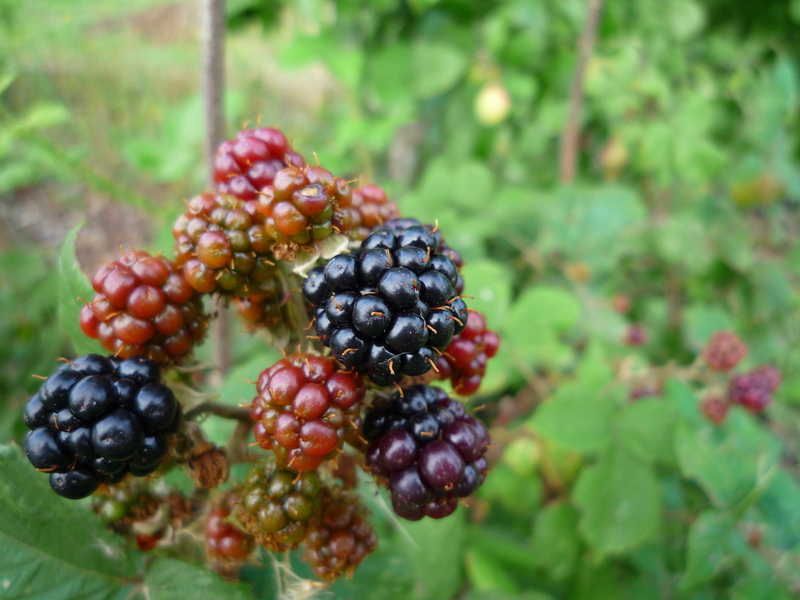 There are many excellent books to guide you on the rules of foraging, what is edible, what to avoid, when to forage for it and how best to consume it, and my current favourites are ‘Food for Free’ by Richard Mabey, and ‘The Hedgerow Handbook: Recipes, Remedies and Rituals’ by Adele Nozedar. Over time hedge plants have become robust and often thorny to protect themselves, as ancient wild herbivores would have grazed on them, in addition to foraging humans! Hedgerow management, including cutting hedges, mimics this grazing action and exploits the natural vigour of the plants. Traditional hedge care including cutting by hand and laying/coppicing with billhooks would have been undertaken locally and over a greater period of time, compared to the more modern and rapid mechanical hedge-cutting with a flail. Whichever method is used, it is a good idea to clean equipment between locations to prevent spread of disease. Cutting sections of hedges in rotation, spaced out over several years, allows a mosaic of habitat niches to develop along a single hedge so wildlife can easily move to the area of their preferred environment, and it also results in more fruit, nuts, pollen and nectar on the hedges that have not been cut for some time. Generally, larger, older and bushier hedges support a greater diversity of wildlife, whilst heavy management can reduce biodiversity. 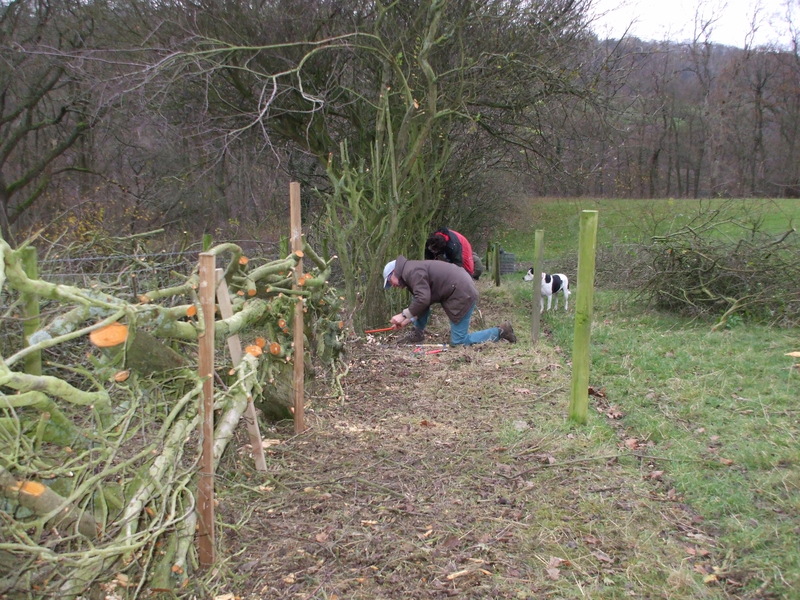 Natural England provide guidance and information on how to enhance hedges for wildlife. There is also useful information available from Hedgelink. Without management over time hedgerows become relicts, eventually declining as a connecting habitat and less likely to survive as a feature. 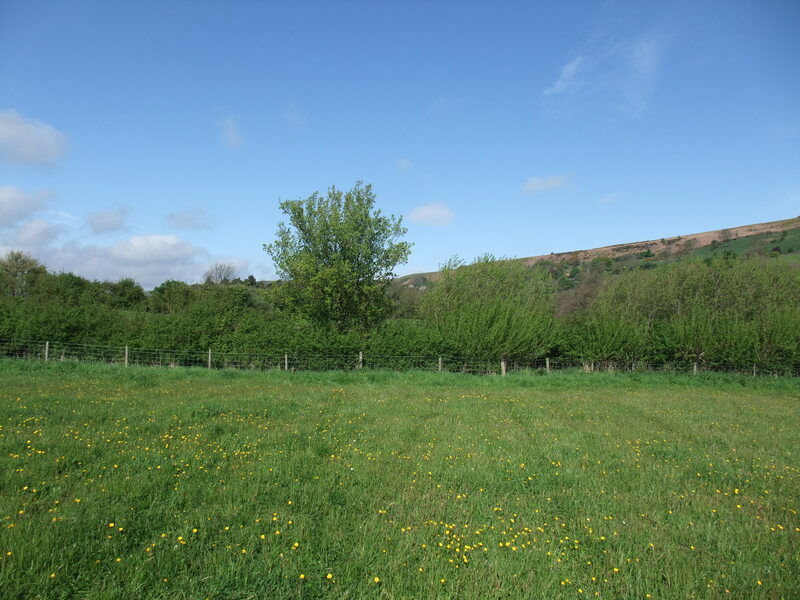 Since the Second World War, there has been a huge decline in hedges as field sizes and building developments increase, and hedgerow management decreases. 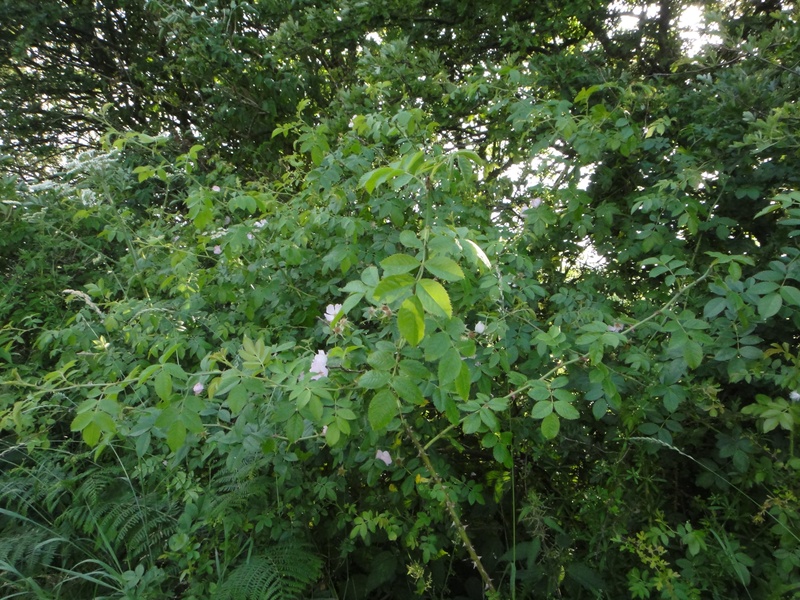 Under the Hedgerows Regulations 1997 it is against the law to remove or destroy certain hedgerows without permission from the Local Planning Authority (in the North York Moors National Park – that’s us). The Local Planning Authority is also the enforcement body for offences created by the Regulations. 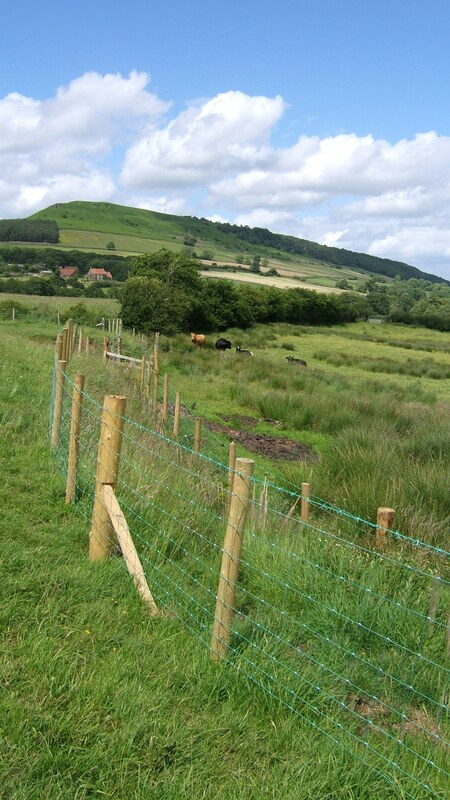 If you’re looking to restore a hedgerow through planting, coppicing or laying, or perhaps create a new hedge where there is currently just a fence, we may be able to help you with our Traditional Boundary Scheme grant, with can offer up to £2,000 a year. Dry stone wall restoration is also eligible. Just ask and we’ll see what we can help you do.